You don’t have to choose your own state’s 529 plan—but perhaps you should. Check to see if your state offers some extra perks—like a state tax deduction, matching contribution, or expense waiver—that you lose with an out-of-state 529 plan. Then consider how much better an out-of-state plan must perform (or how much less it must charge in fees) to overcome the value of any foregone in-state plan benefit. You can even open accounts in more than one 529 plan if you see reason to do so. Remember, except for a few of the “prepaid tuition” plans, 529 plans do not in any way restrict your beneficiary’s choice of colleges from among the thousands of eligible institutions, including many foreign colleges and universities. Granted, this is a tedious document, and most people will skim it at best. But the program disclosure statement (PDS) is the only “official” description of the 529 plan, and if you decide to skip it entirely, you have no grounds for complaining later on about missing some important details concerning the 529 plan. Program rules, contribution and withdrawal procedures, investment options, fees and expenses—it’s all in there. Get easy and immediate access to the enrollment materials from the 529 plans in our Enroll Now program! Of course, you will name yourself as account owner. But what about your spouse—should he or she have an account as well? (Very few plans permit joint ownership.) If the funds for the 529 plan are sourced from an existing UGMA or UTMA account, you’ll need to preserve the minor’s ownership rights by designating it as a “custodial 529” account. It is also possible for corporations, trusts, and other legal entities to be account owners. Ready to enroll? Get started immediately with the 529 plans in our Enroll Now program! The beneficiary must be a living individual for whom you will need to provide a social security number and, in most cases, a birth date and current address. Most 529 accounts are set up with a son, daughter, or grandchild as beneficiary, but you instead can name the kid down the street if you want. And did you know that you can even name yourself as beneficiary? Use the 529 plan to go back to school, even if only part-time, or simply change the beneficiary to another family member at any time in the future. Who is capable of taking over the 529 account in the event of your death or incapacity? That’s the person you want to name as successor owner on the account application. Remember, the account owner has all control over the account, including the right to request distributions for college, replace the beneficiary, or even revoke the account assets. If you don’t have someone you can really trust as successor owner, consider setting up a legal trust to be the successor owner, with explicit instructions to the trustee on how to handle the 529 funds. 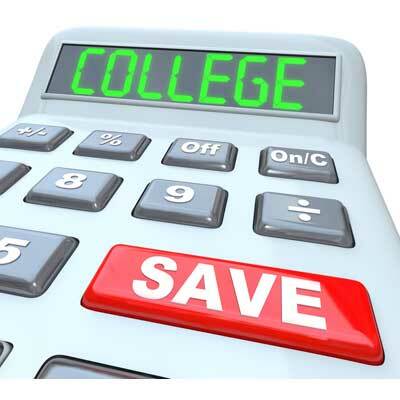 With most 529 plans, you have a choice of investment options, and they typically range from very conservative (e.g. money market funds) to fairly aggressive (e.g. 100% stocks). Select an investment option—or in some plans a mix of options—that best meets your own risk tolerance and your investment objectives. The most popular option in many 529 plans is the so-called “age-based” option that automatically shifts to a more conservative asset allocation as the beneficiary approaches college age. This helps manage risk in your college savings account without you lifting a finger. You can either write a check, arrange for an electronic transfer from your bank account, or enroll in automatic monthly contributions through payroll or your bank. Most 529 plans have very low minimum contribution requirements, so if you don’t have a lot to set aside for college, start with just a little. Keep the gift-tax rules in mind, including the $14,000 annual gift-tax exclusion and the special five-year election for large 529 contributions, since your contributions to a 529 plan under some circumstances will require the filing of a gift-tax return.